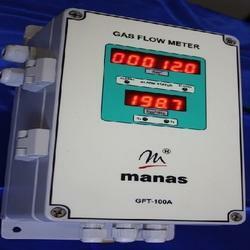 We are offering Gas Flow Totalizer. Also called Gas Flow Meter, this instrument is designed to measure the mass flow rates of Bio gas, Natural gas, CNG, O2, CO2, Compressed air and other compressed gasses in closed conduits. The instantaneous density is calculated by measuring the temperature and pressure. Most suitable for Compressible Fluids having variation in their Pressure & Temperature which includes Compressed Air & gases like Biogas, LPG etc. We offer our valued clients the industrially designed Water Mass Flow Meter. 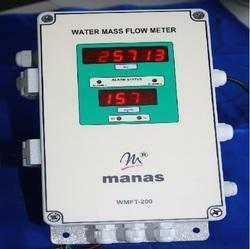 Also called as Water Mass Flow Computing Unit, this unit is designed to measure the mass flow rate of boiler feed water. It calculates the instantaneous density by measuring temperature and pressure. 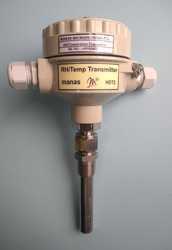 The Instrument accepts signal from Flow/ Differential pressure transmitter, Temperature transmitter and pressure transmitter and computes the mass flow rate. Password protection on all programming modes (except display mode) to avoid wrong programming by unauthorized person. Fault conditions - Indicated by different errors codes. Alarm Status - Indicated by LED's on Front Panel, Blinking Flow rate display indicates overflow. Data logging: Approx readings: 3000 for normal logging & Approx 5500 readings for extended logging. 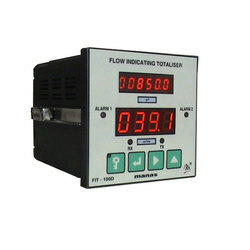 Blinking Flow rate display will indicate overflow. We are offering industrial grade Steam Flow Totalizer. These units are designed to measure the mass flow rates of saturated and superheated steams. It calculates the instantaneous density from pressure and temperature and computes the mass flow as per guide lines from BS1042 / ISO: 5167. 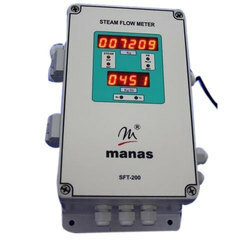 The SFT200 Steam Flow Meter is suitable for measurement of mass flow of superheated & saturated steam. The unit displays instantaneous mass flow rate and totalized mass of steam. Unit offers facilities for accurate flow totalizing in both compensated as well as uncompensated mode. Passoword protection on all programming modes (except display mode)to avoid wrong programming by an unauthorized person. Output 4-20mA dc (2-wire connection) proportional to either Relative Humidity or Temperature Selectable. These are mostly used for measuring relative humidity & Temperature. Linear / Square root operation. Serial Interface with Computer through MODBUS RTU Protocol. Password protection is provided for all modes. 6 Digit, 0.3”, 7 segments LED for Totalization. Looking for Process Instruments ?